Live Blackjack | Play with Live Dealers @ Moon Games! 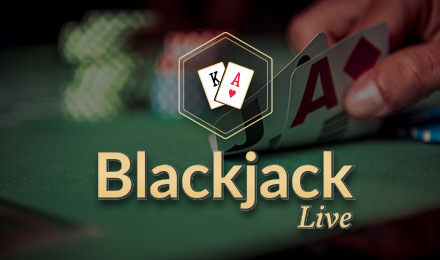 Live Blackjack takes you on a trip to Vegas, but from the comfort of your home! This realistic casino classic features live Blackjack dealers in an interactive setting for authentic gaming excitement! Plus, you can enjoy a rewarding 99.5% RTP! Prepare for a new level of excitement when you play Live Blackjack at Moon Games. Enjoy the most realistic online casino fun with professional live dealers that you can chat with while you play. The Live Blackjack dealers are highly trained and some of the most professional so you will feel like you’re in a real casino from the comfort of your home. Find out why players love this classic casino game and play now! It’s easy to play Live Blackjack and the rules are the same as the non-live version of online blackjack. First, the dealer will deal two cards to each player. Each card is valued at their number while face cards are valued at 10. Ace can count as 1 or 11 and you can choose what works better for you based on your second card. The aim of Live Blackjack is to get the highest value hand without going over 21, or you go ‘bust’. The best hand you can get is a card worth 10 and an Ace which get you to 21! You can improve your chance of winning by learning some good blackjack strategies and tips and putting them into practice. You can also chat with the Live Blackjack dealer while you play to and ask any questions you might have. Moon Games loves to pamper their players with generous offers to give you something extra to play your favourite casino games. There are always special bonuses, promotions, and promo codes that help you collect bonus cash that you can use to play Live Blackjack for free! Plus, if you had a great time playing Live Blackjack, head to our amazing Live Roulette table for more chances to win!